Landscaping looking a little tired? I have just the thing .... a Fan Palm. I need to move this fan palm from its current location in my garden. My orange tree has been complaining that it needs more room to grow. Unfortunately, I do not have a suitable place for it, but it is such a nice specimen that I do not want to just discard it. 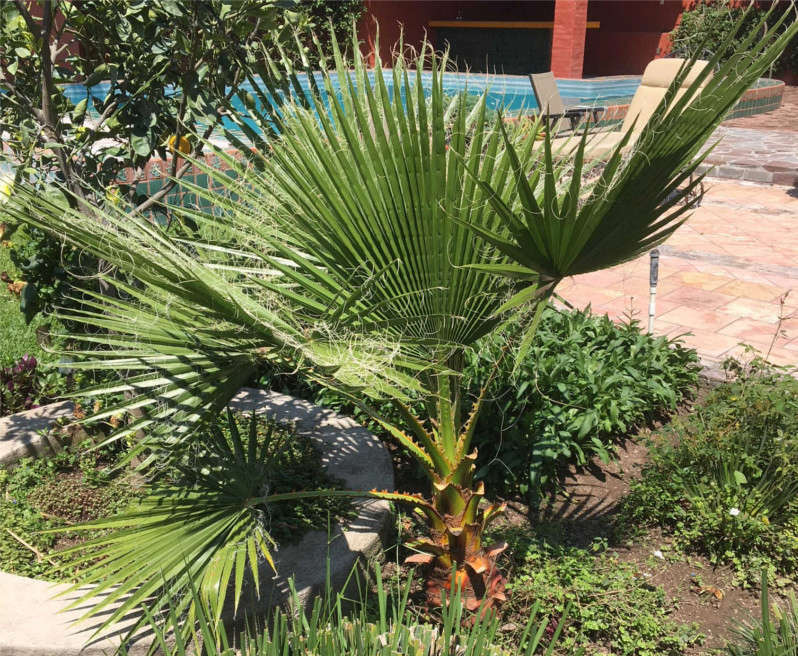 The fan palm is about 1 meter in height now, so it will not be overlooked in your garden. I can dig it out if you would like to replant it in your garden. Send me a PM if you would like to make it yours. I have two others in pots and they do fine. Potting them seems to make them grow slower. This one has been growing in soil and will take a pretty large pot. This would look great peering "above" the snow on Vancouver Island. I think for that location you should be considering a snowshoe palm.